Superman Through the Ages! Forum: Page 12 discovered! Superman Through the Ages! Forum > Superman Comic Books! > The K-Metal from Krypton! > Page 12 discovered! As was mentioned in another thread, Thomas Andrae has discovered a copy of the previously unknown page 12. He very kindly offered to send it to us for the K-Metal restoration project, and we gratefully took him up on it. With the exception of a missing horizontal gap across the middle of the 2nd tier, it is an outstanding reproduction and quite a find. We are currently working on reconstructing the missing section, but because of the high quality of the material, the rest of page 12 will be presented with no refinishing and no reinking - just a colored version of the 1940 artwork. Before we learned of the existence of this original page, Angel had already completely pencilled his own version, which we have recently made available. What's truly amazing is that the art style used on this page is radically different and much more modern from that which was used on any of the others. It was most likely drawn by a different artist, possibly one who would later have more duties as the years progressed. This discrepancy in styles could have been yet another one of the countless minor issues that held up this story from ever being published. Wonder if thats by Wayne Boring and/or Ray Burnley? Angel drew the missing section of the artwork, erased some of the pencils and other noise, and gave Superman a leg to stand on. 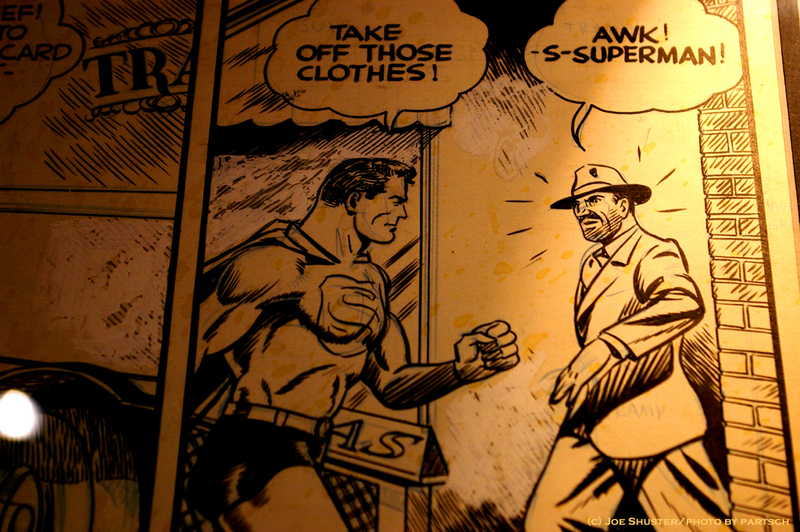 I bumped out the second dialog balloon to make room for the new "-S-SUPERMAN!" letters and did a little additional cleanup. 2011 Update - Re: Page 12 discovered!